When I took the photo of the Olearia pimelioides, Minuria leptophylla was growing nearby and I have seen masses of this plant also. This added weight to my demand to stop and see what they were. After that they seemed to be everywhere. Minuria leptophylla is a perennial plant which dies back in the heat and dryness of summer, to reshoot after autumn rains. The plant is 5-20cm tall. The flowers are white mainly with pinks and purples being available at times and seem too large for such a small plant. 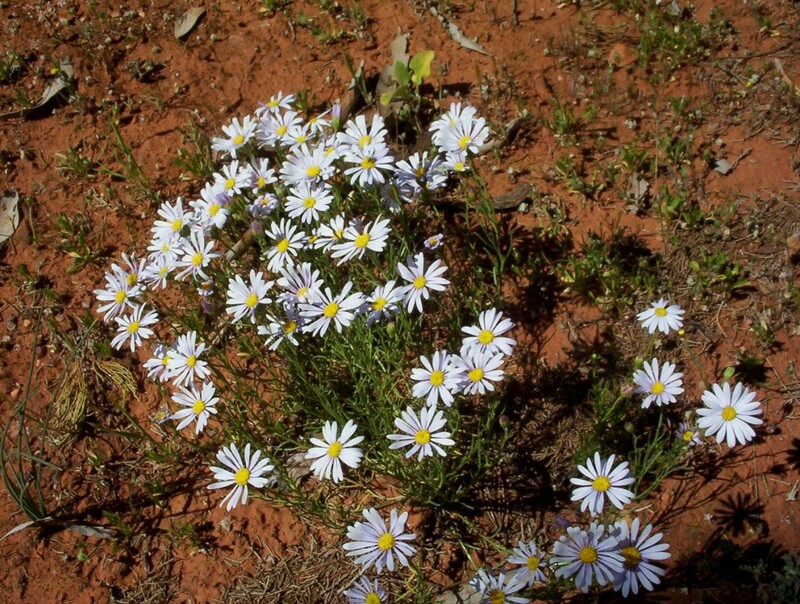 It grows on most soil types. From a farming point of view, stock graze this plant and it is valuable for this purpose. In the garden it would make a great border plant and if the water was available to give it good garden conditions, it would flower for most of the year.